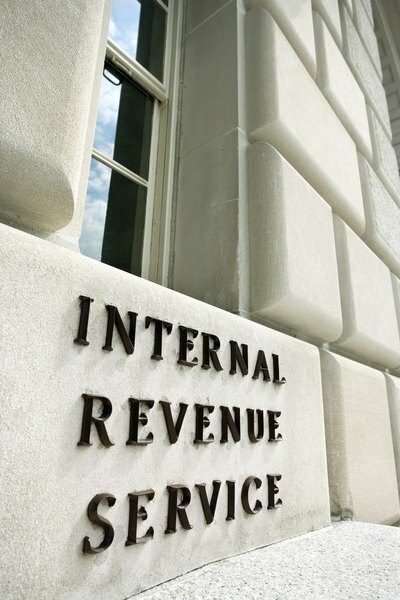 The IRS tracks IRA activity via Form 1099-R.
2. Does 1099-R Mean Reported Earnings? Internal Revenue Service Form 1099-R is the form the administrator of your retirement plan uses to report distributions. Rollover activity is also reported on the 1099-R. The plan custodian sends the IRS the original of Form 1099-R and mails you a copy. Just because a distribution is reported does not necessarily mean it is taxable. You can determine which type of plan is being reported by consulting the appropriate box on the form. Look for the unnumbered box to the right of Box 7 Distribution Codes. The box is labeled IRA/SEP/SIMPLE. Examine the IRA/SEP/SIMPLE box to see if it is marked with an 'X' or a checkmark. If it is marked, the account being reported is either a traditional IRA, a SEP-IRA or a SIMPLE IRA. Look at the code(s) in Box 7. You will see letters, numbers or a combination of the two. Consult the IRS Form 1099-R Instructions Guide to Distribution Codes to discover which letters apply to which type(s) of account. Some letters denote activity in more than one type of retirement account. Decode the letters in Box 7 using these guidelines: Codes B and H pertain to designated Roth accounts, code F to charitable gift annuities, and Code N to an IRA recharacterization. Code Q reports a qualified -- or tax- and penalty-free -- distribution from a Roth. Code S involves a SIMPLE IRA distribution within the first two years of ownership. Code T denotes Roth IRA activity. Code U is used to report dividends from an ESOP, or employee stock ownership plan. As of 2012, the numeral codes -- 1 through 9 -- might apply to nearly any type of retirement plan. What Is the Q Code in the Roth IRA 1099? Do I Need a 1099-R Form When I Withdraw My IRA?